Carina Geber-Teir, M.Sc. will join Cargotec as Senior Vice President, Communications. She will be responsible for leading the communications, investor relations and sustainability function. 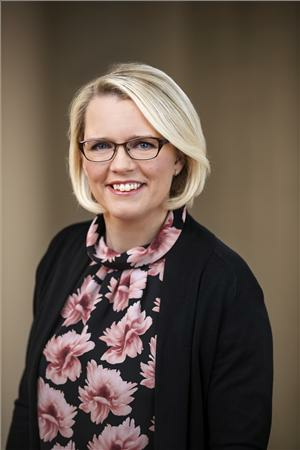 She will be a member of Cargotec's Extended Executive Board and report to CEO Mika Vehviläinen. Geber-Teir joins Cargotec from OP Financial Group, where she has been a member of the Executive Board and Chief Communications Officer since 2009. Prior to this she was Communications Director at Varma Mutual Pension Insurance company. As earlier announced, Cargotec's current SVP, Communications and IR Leena Lie will take up the position of SVP Marketing and Communications at Huhtamäki Oyj latest during September.